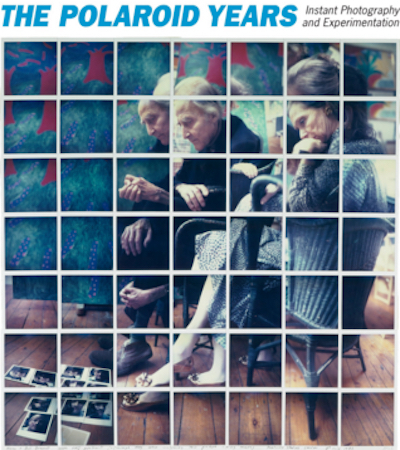 The Polaroid Years: Instant Photography & Experimentation, an exhibition catalogue edited by Mary-Kay Lombino, is "the first comprehensive look at the groundbreaking art made with Polaroid photography". The exhibition was held in New York in 2013, and featured Polaroid prints by artists and photographers from the past forty years. Polaroid often commissioned works from photographers, including Andy Warhol and Robert Mapplethorpe, both of whom became famous for their Polaroid portraits. Warhol is the artist most often associated with Polaroid, and a Warhol self-portrait is one of the first images in the catalogue. The book also features a timeline of Polaroid's corporate history, and an essay by editor and curator Lombino on the various photographic techniques and genres represented in the exhibition. Polaroid's founder, Edwin Land, invented the instant camera, and Polaroid was one of the few camera companies to achieve a level of brand recognition equal to Kodak. (Both companies eventually filed for bankruptcy, after being eclipsed by digital photography.) Polaroid's most famous camera was the iconic SX70 (Phaidon Design Classics #749), and The Polaroid Years includes stills from an SX70 promotional film by Charles and Ray Eames.